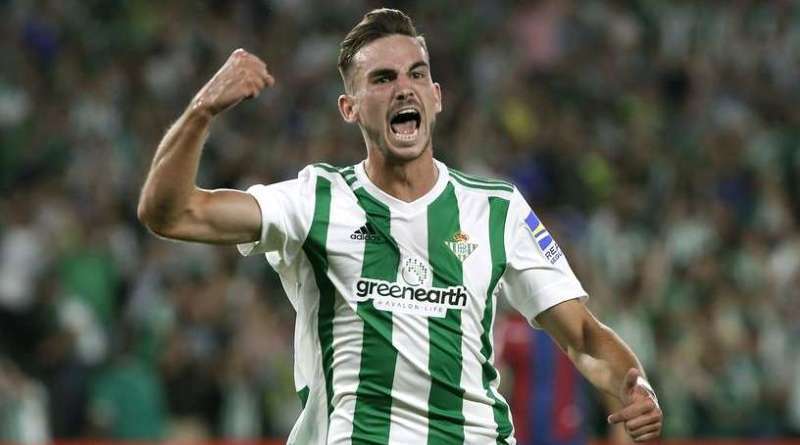 West Ham target Fabian Ruiz from Real Betis to boost their midfield options. According to the football transfer rumours in Spanish media, West Ham are linked with surprise move for Real Betis midfielder Fabian Ruiz. Ruiz made 41 appearances across all competitions for Real Betis, scoring two goals and supplying three assists in return. The 21-year-old has been touted as one of the brightest young prospects in Spain. Fabian Ruiz has represented Spain at Under-21 level, winning three caps and scoring one goal. The report details that David Moyes feels his midfield currently lacks some bite and that he could strengthen in the next few days. West Ham are in the market for just a handful of statement signings who can improve the first-team. According to the report, West Ham are lining up a January move for Fabian Ruiz with manager David Moyes watching him against Barcelona. The 21-year-old spent last season on loan at Elche. Ruiz has proved a revelation at Los Verdiblancos this season, starring in 16 league games and scoring after 23 seconds in the Seville derby. Ruiz is said to be keen to sign a new deal at the Seville-based club but his current contract contains a 15 million euros release clause, which the English club may decide to activate. Signing the 21-year-old in January would be a masterstroke from David Moyes. How strong that interest is and whether West Ham will make a winter move remains to be seen but it is certainly one worth keeping an eye on.